The results of Prism’s 2016 annual Management Consultancy Recruitment Survey. We canvassed twenty-three SME consulting firms, typically in the 15-250 employee range. 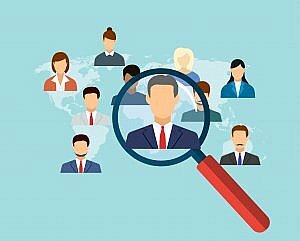 All firms participating in the survey aim to increase their headcount in 2016, most by 30% or more, however more than half had failed to meet their hiring targets last year. A significant increase in direct hiring is expected, and a correspondingly reduced role of referrals. Direct hiring is however acknowledged to be difficult, time consuming and slow: it is likely firms will remain resource constrained. Use of agencies remains static but benefits are acknowledged including market knowledge and swifter access to a broader range of candidates than either direct or referral methods. Competition from larger firms and Big 4 is in some cases driving salaries above ‘market rate’, with some smaller firms finding it difficult to compete. The results identified specific areas of difficulty including: attraction and retention of Millennials; brand awareness amongst candidates; scalability and the attraction and retention of women. The survey confirmed that there is a continuing skills shortage in the management consultancy market, which shows no sign of improving. However on a more positive note, by virtue of their culture, flexibility and less bureaucratic structure there is potential for smaller and independent firms to be at the forefront of a paradigm shift in the way management consultancies accommodate their employees’ expectations of career development, monetary reward and work life balance.